This autumn we want to give your talent/resourcing team some practical tips on how to effect change in your current model. 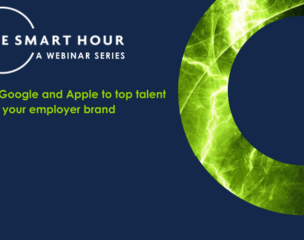 Our interactive and engaging SMART HOUR series is going to get under the skin of the problems organisations face, analysing some the symptoms and discussing ideas and tools that you can apply to your talent challenges. On Thursday 13th September we looked at how in niche talent areas like Digital or Social Care you can create a concentrated effort to build incremental pipelines of candidates by targeting them through the extension of your Employer Brand. Sign up below to watch the recording of the first SMART HOUR episode!